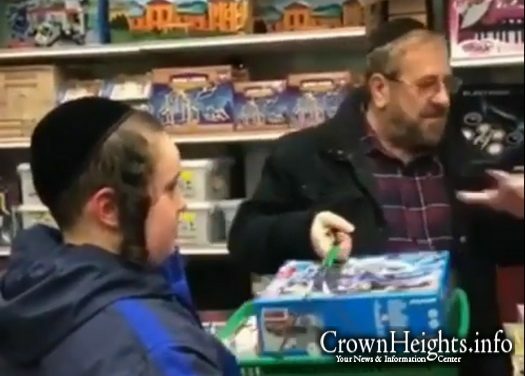 A boy in Williamsburg received a whole bunch gift from a community member following an anti-Semitic assault that left him with a broken nose. The incident was caught on camera, and is making its rounds of social media. 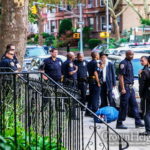 As previously reported on crownheights.info, an boy was assaulted in an unprovoked incident in Williamsburg Sunday evening. 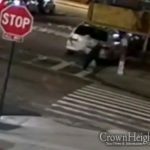 A man wearing a light colored hoodie targeted the boy, and assaulted him from behind, punching him in the face and knocking him to the ground. The boy thankfully sustained only minor injuries, including a broken his nose. Today, a video began circulating of a community member buying the boy gifts at a local store. The man can be seen explaining the reason for his purchases, and placing two overflowing baskets on the counter. “Men” don’t attack children. 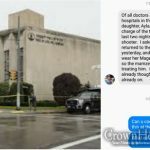 He was attacked by a “male,” and a coward at that–and an enemy of the Jewish people who should experience a spectacular downfall, whether in public or private.